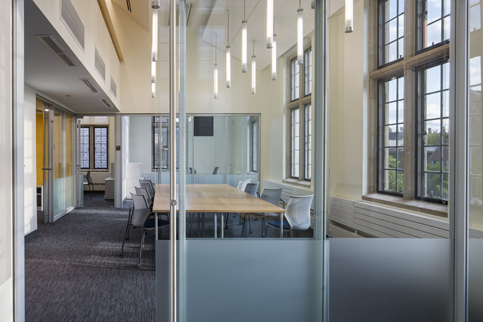 Like many large research universities, the University of Chicago appears to always be building. 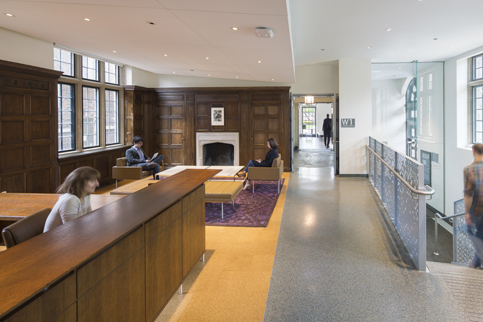 One mainstay of campus construction is rehabs of existing institutional buildings. 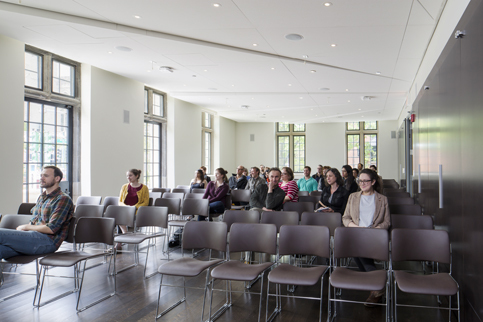 At the University of Chicago, that means figuring out what to do with a large stock of neo-Gothic buildings that once served as places of worship. 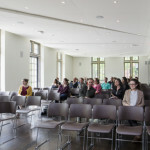 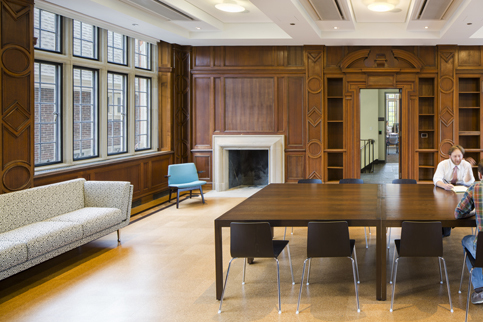 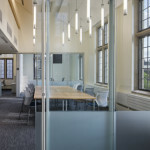 Last year the university revived the 1928 Chicago Theological Seminary on the University’s Hyde Park campus as Saieh Hall, the new home of the Becker Friedman Institute for Research in Economics and the Department of Economics. 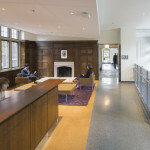 Now, New York–based Kliment Halsband Architects has accomplished a similar transformation with the Neubauer Collegium for Culture and Society at 5701 S. Woodlawn Avenue. 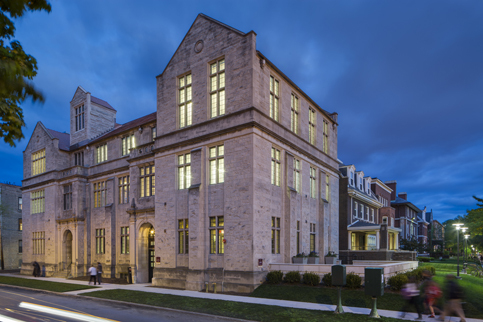 Originally the Meadville Theological Center, the 1933 building retains its neogothic facade and a general air of introspection. 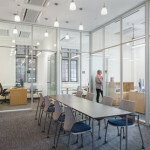 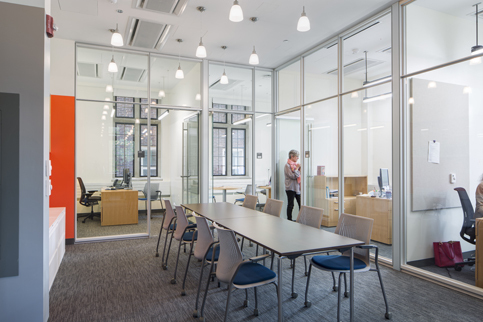 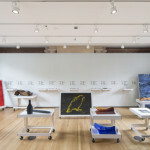 But the interiors of Neubauer—named for trustee Joseph Neubauer and his wife Jeanette Lerman-Neubauer in honor of their $26.5 million gift to the University—are thoroughly modern, with shared workspaces and studios designed to promote collaboration.